What do you really know about your prospect? Their age range perhaps? Where they live? What they do for a living? Useful definitely, but not enough to create copy that rouses emotion and compels action. Today’s article is inspired by someone who understood that in writing, how well you knew your ‘characters’ made the difference between captivating an audience, or boring them. 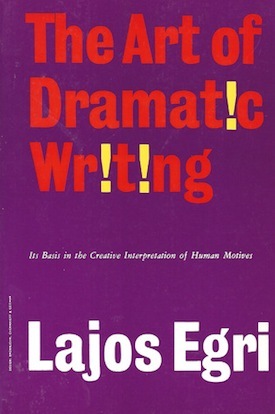 In 1946 The Art of Dramatic Writing, (now regarded as one of the best works on the subject of playwriting), was published. The author, Lajos Egri, had a simple rule: know your characters and you’ll know your story. And the same principle works in copywriting. Before you can write content that gets and grips your reader’s attention, you have to get to know them … intimately. Fortunately, Egri has some advice to help us do just that. According to Egri, this is the number one desire that motivates all characters. Even small actions are attempts to increase our importance in the world. Whether it’s going for a promotion, dressing up for a date, or making sure your children are healthy and happy. These actions are influenced by our goals to be well-respected, noticed, or loved. And if we succeed, we have a measure of how important we are to others. So how do companies make their customers feel important? A business owner wants a better looking website to be more important to prospects. A web designer wants better tools to offer a high-quality service, and be more important to her customers. A blogger wants to produce epic content to be important to readers so they keep coming back. When you know what makes your customer wants to feel important, you can ensure it is one of the leading benefits in your copy. But this is just the beginning, because when you stir the murky waters of the desire for importance, you’re just a few steps away from another piece of the puzzle that helps you understand your customer. According to Egri, no-one is wholly satisfied with themselves, because if people were satisfied and happy, no-one would ever do anything. Apparently, insecurities cause dissatisfaction which then motivates us to pursue activities to make us feel more important. And the angle of your copywriting can change dramatically when you’re targeting different insecurities, even if the product is the same. For example, not everyone who decides to get fit is motivated by the same reasons. One guy might be embarrassed about his body and decide once and for all to get buff for the ladies. Another guy might have a chronic condition that he fears will cause him to miss out on life unless he can gain strength by increasing his fitness. While the same fitness product might work for both people, the same approach to writing copy may not. And if you want to write copy that resonates deeply with your customer, you have to tackle their fears as well as their goals. Most customer profile templates focus on the present-day. Where does your customer live now? What problems do they have today? Egri understood that if you really wanted to understand a character you had to go back in time and know the events that made your ‘character’ who they are today. So what about your own customer? What events turned them into your target market? If you help small business owners, how did they get there? Were they always self-employed? Have they been in business long? Have they always ‘gone their own way’ or are they more used to conforming and being told what to do? Taking this journey through your target market’s history helps you build a better view of your customer’s values. And again, this helps you shape your content and pick themes that appeal specifically to your customer. How might you change the theme of your copy for each group? Egri suggested that in conflict, people’s true characteristics are revealed … but what conflict is your customer really facing? Some conflicts are obvious. It’s an action that causes a problem that needs to be solved by a reaction: your car breaks down, you need to be somewhere — you call a mechanic. Your pipes burst, you don’t want water damage, you call a plumber. Other conflicts are more subtle but no less worrying to your customer. A business owner wants a polished looking website to look important to her customers. Looking a little bit closer, we discover that maintaining a professional appearance is something she worries about. Okay, we know more about her insecurity, but still there’s no real conflict. Do a bit more digging and we find out it’s likely to be a start-up business and she’s probably new to online technology. She doesn’t have the funds to hire a design company, but she doesn’t know enough about technology to do her own design. The business that solves this problem and understands this conflict can plan content to reach this customer much better than the business that simply advertises affordable web design. Now, you don’t have to know the individual story for each and every customer you may have, but without an idea of the conflict faced by the majority of your target market, understanding their real character (and writing copy to appeal to them) will be a challenge. Okay, we know what makes our customer feel important, what makes them secure, what their past is, and their conflict. In fiction, you need to know if your characters are prepared to go bankrupt, embark on an adventure, commit a crime, or declare love to achieve their dreams. And you need to know the same about your customer. Okay, you don’t need to know if your customer will go to Mordor for new computer software, but it does help to know what they’re willing to do to resolve their particular conflict. What price are they willing to pay? Are they willing to shop around or is it more of an impulse purchase? How desperate are they to solve the problem? Do they need to solve it quickly or can a solution take time? How much do they want to work with you compared to another company? Your research might lead you to try new approaches in the way you present your offer to prospects. If you discover your customer likes to shop around, and reads lots of information before making a buying decision, you can create content to cater to this need. Getting to know your customer isn’t a quick, cursory task. Egri would spend hours plotting question and answer scenarios with characters, thinking of a range of different back-stories and visualizing how they might react with different events and opposing personalities. Now granted, your customers aren’t imaginary but you can use the same inquisitive approach to build a clearer profile of your customer. What do you find helps gain a better understanding of your reader? How does this affect the copy you write? Amy Harrison is a copywriter, content trainer, and owner of Write With Influence: an online resource that helps business owners write better marketing content faster and easier. She is also the host (and many of the characters) of AmyTV: an online comedy sketch show all about writing better business copy. You said “Mordor”! My children cheered. Lovely article. I’m hunting down that book, now. Thanks Amy! Highly recommend both dramatic writing and creative writing by Mr. Egri. In the latter there’s a funny role play exercise as Egri imagines what it would be like to question a pimp so he can ‘get to know’ one (having never met one before). Hello…. I’m really enjoying all of your materials and I’ve had a laugh this morning. Ok… it’s a small thing… however…. I was trained to type on a manual typewriter, way back in the nineteen-sixties. Your cartoon shows the return lever on the wrong side of the typewriter. I kept looking at the movement, knowing something was not quite right. I need to find that book now! The same insights seventy years ago for play-writing are relevant to content marketers today in a market that didn’t really exist ten years ago…How cool is that. It is also exciting because it helps us know content marketing is really a term or medium we’re using today for something that is truly timeless. Helping and teaching customers. Interesting balance between writing for yourself and writing for your target audience. Effectiveness must come from both angles, I think. Much of what you share will be recognisable to marketers and yet their responses in terms of website copy will be jargonised, generalised and lacking in the personal touch. Don’t you think giving a reader a sense of feeling important comes from them believing they are genuinely listened to and heard by people who want to serve them. When we put our website (www.businessmapper.co.uk) together to help businesses with free online marketing information we thought long and hard about our potential customer segments before we started drafting. We also needed to carry our adequate market research so we could respond to prospects’ requests. Ironically, like the example you state we were faced with a number of core customer groups to reach (according to their behaviour and experience online). Two of these were ‘entrepreneurs just out of college/university’ and ‘start-up business leaders following redundancy’. It will be interesting to hear what people think of the resulting site we produced, especially if they fall into those categories of entrepreneur? Great article, thanks Amy. I completely agree that the reader/prospect has to be the focus of all marketing. But too often, it’s the product or the company. Thanks Margaret. It’s got to be one of the biggest mistakes made, but I can understand that it happens when people live, breathe and talk in their sleep about their business. I read recently about a company that keeps a spare chair at every business meeting to represent the ‘customer’ and remind attendees that their voice is important. Can’t remember the company though – anyone helps me out? I agree 100% that focusing on the reader exclusively and making them feel important is the most essential part of writing. My ability to write copy improved dramatically when I stopped thinking about what would sell, and started thinking about what would offer the reader the most benefit. Thanks for the awesome insights. You’re welcome Jake – glad you liked it. That switch of focus also makes the writing process a lot easier. Ideas seem to flow when you start prying into the mind of what makes your customer tick. Egri’s book is a goldmine – far better than the others that are regarded as classic s on the subject – Robert McKee’s Story, and even Syd Field’s Screenplay. I’ve read it a couple of times and it’s interesting that I didn’t really pick up on your points here. This is a sure sign of a great book. The more you know the better off you are in the long run. Some businesses have James Bond type info on their customers, which is why they’re able to create such a deep-rooted connection with them. This definitely has me thinking and will be bookmarked! Amazing stuff. Great food for thought! Thanks Dewane, appreciate your comment! You’ve got me thinking about building a spy dossier for my next customer profile exercise! 🙂 That’d be awesome. This article showed me how important is the fiction rules in life everybody. I say that because I apply a little bit of skills from the fiction to the writing copy business too. I wrote in Portuguese – my native language – a book “Dupla Personalidade para um Roteiro” (in original) – some as “double personality for a screenwriting” where I showed a coolest way to build a story for movie or TV.using characters Eneagramatic too. I liked a lot this article, Amy. I’m curious to know the book of Lajos Egri. Thank you for all! I wish you be increasingly successful! Hey Amy, thanks for the great info. I am just starting my journey and I thoroughly enjoyed your carrot song! I find your approach to explaining your topics, such as getting to know your customer, interesting and entertaining. I look forward to reading more of your content. Hi Kelly, thanks for the feedback – I’m hoping the carrot song turns into an underground hit (every pun intended). Great article. It is useful to know the “goal behind the goal.” Once find out what is really driving the customer, then we can fill that need. It seems to me like getting that intimate relationship with an audience is a practice that, in recent times, has been overlooked by many. That’s crazy since it’s so important! After all, if you aren’t writing for a specific audience, you’re likely just vomiting words. That’s the frustrating thing, without this step you’re writing in the dark when it comes to what’s going to move people. And you’re right, it gets overlooked a lot. This is a really nice article Amy, thanks for putting it together. I love getting to know my readers better and appreciate any feedback I get, whether through emails, social media or comments. The more feedback I get, the more I get to know my readers. Lots of them have become friends. Your tips are great advice. In terms of your closing questions, I generally just try and be myself. I found the section on insecurities to be especially thought-provoking. I’ve always had a bit of a moral dilemma when it comes to playing on someone’s (or a group’s) insecurities with the end goal being to sell a product. But, as you say, EVERYONE has insecurities and, in fact, they are what drive our motivations to feel important. So perhaps looking at it as “playing on” insecurities is the wrong angle. Because if you have a great product that CAN make someone feel or be more important, then you are actually satisfying an insecurity rather than playing on it. You’re helping rather than exploiting. It’s a subtle shift in thinking and objective, but a profound one (for me, anyway). Great piece Amy! I’ve often thought of how persuasion can feel like manipulation, but your idea is much more appealing. If we are really trying to help our customers then it’s not manipulation, it’s more like guidance to a more fruitful end for them. Thanks for your PO V.
Jerod, Siri can’t spell your name correctly and I can’t spell check very well, either. Cheers. I think when insecurities are focused on to persuade people for things that a) they don’t want or b) aren’t good for them, then there’s a problem because it is a powerful technique. But if an insecurity is pushing them to seek for a solution and you have that solution, highlighting insecurities is help and awareness, not exploitation. This is great. Thanks so much for the tie-in to Egri’s ideas on character formation. I usually feel like I have to ditch most of what I learned in creative writing for copywriting, but your post is an awesome reminder of how much can cross over. Hey Mindie! I hear you. I spent 3 years studying screenwriting and only managed to apply the principles when I started copywriting. This was an interesting read, Amy. And as it was based on playwriting from the last century, amazingly relevant. I think that if you stick to these themes – desires, insecurities, past, conflict, and willingness – you will draw your reader in. Your writing will not be boring and skipped over, or too long and passed by! Thanks for bringing this old text to our attention! Thanks Stephanie, you mention some great themes that lend themselves to drama. I think Robert Bruce mentioned the fact that people are drawn to drama, not information in a post he wrote recently. Thank you for this insightful article. Ironically, commentors on a copywriting forum I was reading recommend reading playwriting material to better understand your customer. Your article is a nice time saver to reading the whole book myself. Although I may yet read it. To get to know a market better, I like to go on forums about what real people are dealing with in that market. Even though they are individuals, eventually I will see trends from reading the forum as a whole. “When you know what makes your customer wants to feel important, you can ensure it is one of the leading benefits in your copy.” Looks like a key point. I’m not sure I understood what you were trying to say. Can you restate it in a different way? Validate how a person feels, and they’ll feel as if you understand them. That’s what makes people feel important — being understood and ultimately being taken care of. Good insights! Thank you. I get into my propects’ heads by asking them poll questions on Facebook. If the poll is interesting and worded in the prospects’ language, I get lots of good feedback. Great tip Malinda! I’ve seen a lot of people use facebook polls effectively for getting into the mind of their prospect. You have highlighted the basic idea of success for any business. Having an idea of what our target customers want is what drives the business. The concept of Egri is the icing on the cake, so to say. Every customer wants his needs to be fulfilled, his soul to be rewarded, and his conscience to be respected. Thanks for the post. It’s easy to define a customer by some simple metrics like age, gender and location. I see the value for digging a little deeper. The ability to learn and understand the customers motivations really knowing the customer. I can see that this is the foundation on building quality content. The things you have written are very informative and things that must be taken into consideration by not only marketers but to those people who engages in business in the net. These things are the basics to drive traffic and eventually convert those traffic to income. I always try to dig into my customer’s head when I first talk to them. If you listen closely, you will hear them leaning on certain words which indicate their strongest desires. Haha love the Mordor reference! I find when writing copy is that asking the client about his or her product is key. Then I will take time to analyse why the product exists, its positioning, why the product is demanded and why people may use or even desire it. I think as advertising is a marketing communications tool, like all marketing it must ultimately be based on what the customer values and desires from a good or service. Ignoring this is a crucial mistake for any copywriter. Amy, thanks for sharing your very insightful article.. Very nice article… writing for audience without making them feel important is really a waste of time….